You are here: Home / Cebu Pacific / CEBU PACIFIC AIR: FLY TO SHANGHAI, CHINA FOR 1 PESO ONLY! Shanghai don’t you wanna miss a thing! Yep, that’s true! Fly and explore Shanghai holidays and discover the best time and places to visit. 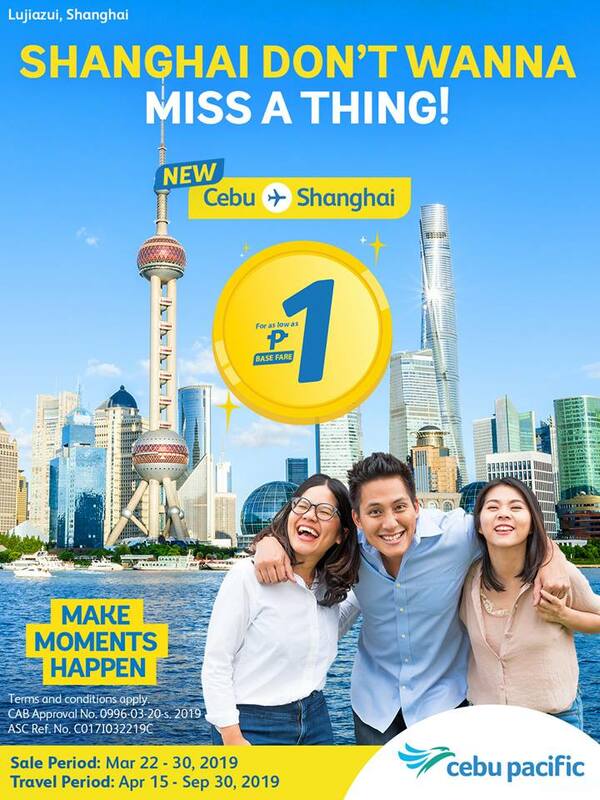 Cebu Pacific Air gives you now a direct flight from Cebu to Shanghai for 1 PHP only! Don’t miss this! Grab your debit/credit card now and book this peso fare promo. Promo runs until March 30, 2019 and Travel from April 15 – September 30, 2019.